Since their establishment in Pennsylvania, many religious denominations have been concerned with the education of their followers. From primary and secondary schools to Sunday schools to colleges and universities to theological seminaries, the imprint of religion on Pennsylvania's educational system has been substantial. According to James Pyle Wickersham's A History of Education in Pennsylvania, Private and Public, Elementary and Higher, from the Time the Swedes Settled on the Delaware to the Present Day, prior to the establishment of the common school system in Pennsylvania (starting around 1834 with the Common School Act), education was usually the concern of the various denominations . After the Common School Act, however, he notes that many denominations pulled away from education. Exceptions to this trend included Catholics, Quakers, Jews, some Episcopalians, and very few Lutherans, Reformed, or Moravians. These schools may be part of a larger church complex, they may stand alone, they may be in an older, secular building that has been adaptively re-used, and so forth. Their religious (and sometimes ethnic) connection may only be apparent in their name or in historic documentation. In Catholicism, for example, a school named St. Stanislaus would obviously be Catholic and Polish. (St. Stanislaus is the patron Saint of Poland). 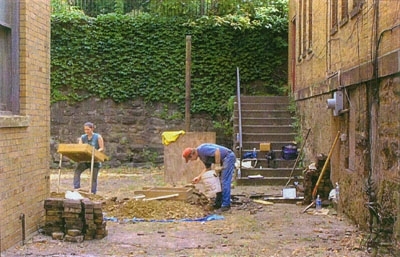 This archaeological site is associated with the St. Michael's Slavonic Catholic Parochial School and Convent, a complex that was constructed ca. 1905 to serve the Slavonic Catholic population in Braddock. By 1985, St. Michael's closed and the school and convent were closed. The property contains the school building and convent, as well as archaeological deposits that could yield important information on the lifeways of ethnic Catholics in this institutional setting. 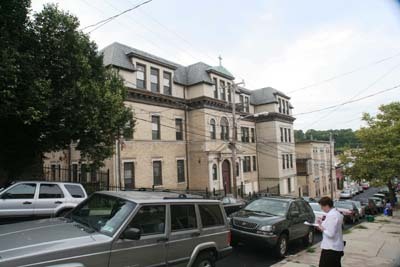 Opened in 1912 by Polish Roman Catholic parishioners, this school served the Polish Roman Catholic community in Manayunk until 2005, when it was closed. The property consists of one building, the school. This building is the 4th school building constructed on this property. From the 1730s onward, the schools on this property served the Lutheran, Reformed, and Mennonite congregations of this part of Lehigh County. 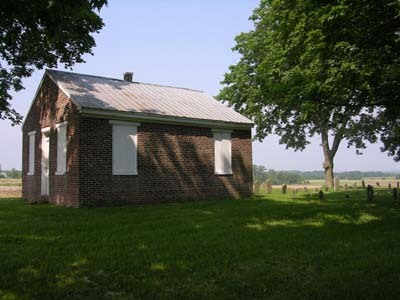 In 1799, a second school was built. With the coming of the public school system to this area, the building was rented out as a public school sometime after 1845. A third school was built in 1848, followed by the current school in 1885. In 1941, the building ceased to be used as a school and was used for various other functions. The property consists of one building, the school. Constructed ca. 1831 to replace an earlier log meeting house/school that stood about a mile and a half south of this property, this school served the Quaker community in Halfmoon Township until probably some time in the early 20th century. In 1946, the property was transferred to the Grange and used to house their meetings. Originally, this property consisted of two buildings: a meeting house and the school. Only the school remains. 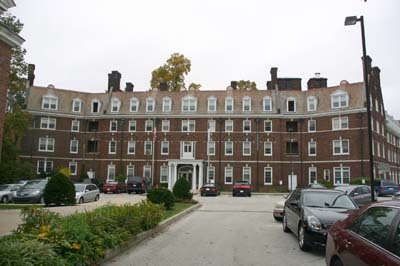 Founded in 1908 by the Sisters of Charity of Seton Hill (Greensburg), the DePaul Institute served as a school for the deaf of the Catholic community in the Pittsburgh area. 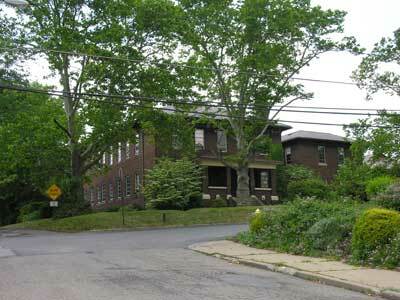 Originally located at a home on Lowrie Street in Troy Hill (Pittsburgh), the Institute moved to Mount Lebanon in 1910 and continued to serve as a school for the deaf until 2003, when it moved back to Shadyside (for more information go to History of Brookline Local Schools). The complex originally consisted of 6 buildings: the administration building and residence (1910-1911), a classroom building (1935), Our Lady of Victory Hall (1949), a power plant and priest's residence (1949), a church (1960), and a convent (1960). The main building was added on to in 1914 (a third floor) and 1925 (classroom wings); a chapel was also added at some point. According to Anne M. Boylan's Sunday School: The Formation of an American Institution, 1790-1880 , Sunday schools in the United States can be traced back to the late 18th century and the concern of religious denominations with the education of working children. The Sunday schools served two social purposes: educating working poor children and keeping working poor children from causing trouble on their day off. One group associated with these early Sunday schools was the First Day Society, founded in Philadelphia in 1791 and organized as a means to educate poor children in place of the dwindling apprenticeship system. These early Sunday schools were replaced later in the 19th century by evangelical Sunday schools, much like the Sunday schools we see today. While these Sunday schools were still concerned with literacy, especially among the poor and African Americans who may not have had access to common schools, their mission was more overtly religious. Many also saw a role in combating the problems that arose with increased urbanization. Sunday schools can be found within a larger church complex or an individual church, or they may be stand-alone structures. In any case, based on BHP's files, it appears that these buildings will be easily recognizable as religious structures. In-depth research will most likely have to be conducted to tease out their significance in their particular community. 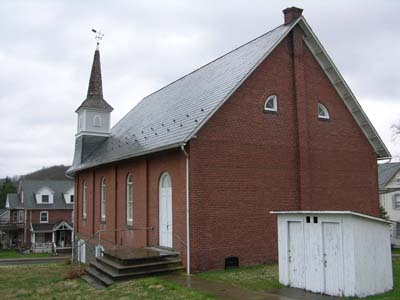 Founded in 1865, The Sanatoga Union Sunday School (formerly the Crooked Hill Sunday School) originally met in a local schoolhouse. In 1891, this building was constructed specifically to house the Sunday school. 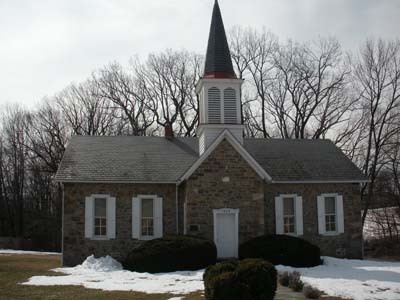 The Sunday school served the Protestant members of the community regardless of their affiliation until 1991 when it was transferred to the Lower Pottsgrove Township Historical Society. The property consists of only this building. Built ca. 1865, this building was originally used as a meetinghouse. From 1872 to 1919, however, it served the community as a Sunday school. 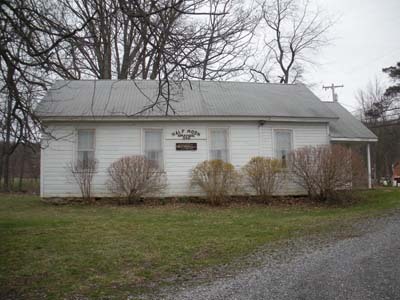 The property consists of two resources: the Sunday school building and an early cemetery. Founded ca. 1875, the Green Lane Union Sunday School was originally held in various places throughout the borough, including several borough churches. In 1896, this building was constructed specifically to house the Sunday school. The Sunday school continues to serve the Protestant members of the community (regardless of their affiliation) to the present. The property consists of two resources: this building and a privy. Obviously, the concern of religious groups with education did not begin and end with children. Religious denominations have been the driving force behind the establishment of colleges and universities throughout the United States in general, including in Pennsylvania. In fact, in the United States, religious groups were behind the founding of institutions of higher learning from the very beginning. Bernard J. Kohlbrenner in "Religion and Higher Education: An Historical Perspective" (History of Education Quarterly, Vol. 1, No. 2), notes that of the 9 most important colleges of the colonial period (Harvard University, the College of William and Mary, Yale University, Princeton University, Columbia University, the University of Pennsylvania, Brown University, Rutgers University, and Dartmouth College), 8 were associated with religious groups. This trend continued into the 19th century with 175 of the 182 colleges and universities in the United States during the Civil War being associated with a denomination. Many of the religious colleges founded did not last, however. As seen with primary and secondary schools, the religious connection between a college or university and a denomination may not be readily apparent; it may be obvious only from the name (e.g. Saint Vincent College) or from historic documentation. Adding more complexity, in some cases, a religious college or university will adaptively re-use another property (e.g. Cabrini College on the former Paul Estate). There will likely be a chapel on campus, as well. Another important point to keep in mind is that colleges and universities constantly change, both physically and philosophically, so new buildings may obscure the older campus and new trustees may obscure the older religious association. Organized in 1855 under the East Genesee Conference of the Methodist Episcopal Church, Mansfield Classical Seminary (later Mansfield University) opened in January 1857. About 4 months later the campus burnt down; however, it was rebuilt in 1859. In 1862, Mansfield became a state normal school (for information on Mansfield University during the 1860s, go to Mansfield:150 Years of History, the 1860s). It continues to serve as a state school. Currently, Mansfield University consists of approximately 26 buildings and several sports fields. It is unclear if any buildings remain from the earliest period of the school. 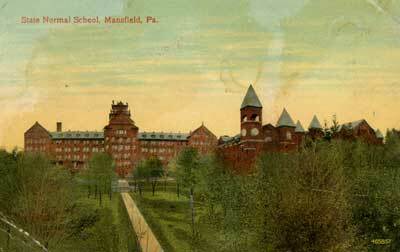 The postcard below shows the Mansfield University after it became a state normal school. The building on the left (North Hall) and the building in the center (Alumni Hall), were constructed after Mansfield became a normal school. The building on the right and behind the trees (South Hall) was originally the second seminary building. Founded in 1868 under the Carlisle Presbytery, Wilson College opened its doors in 1870 as a liberal arts college for women. It continues to serve in this role. Currently, Wilson College consists of 31 resources: 17 contributing buildings, 3 contributing structures (the entrance gates, a monument, and a concrete dam) and 11 noncontributing buildings (mostly modern dormitories). 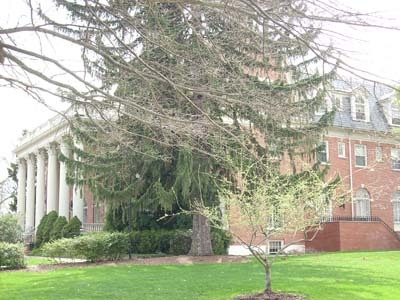 Opened in 1859, the Susquehanna Female College was associated with the Missionary Institute (later Susquehanna University); both were founded under the auspices of the Evangelical Lutheran Church. 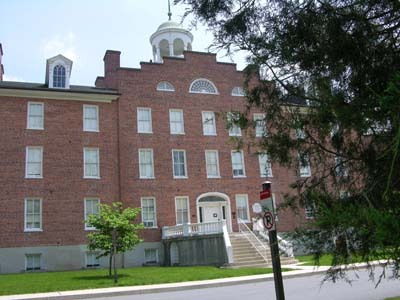 Susquehanna Female College, served the women of Selinsgrove until 1872, when it closed due to financial reasons. At that point, the women were admitted to the Missionary Institute. Currently, the Susquehanna Female College consists of only one building, a building which has been converted to apartments. Undetermined (the entire campus); and Listed (Seibert and Selinsgrove Halls; 10/25/1979). 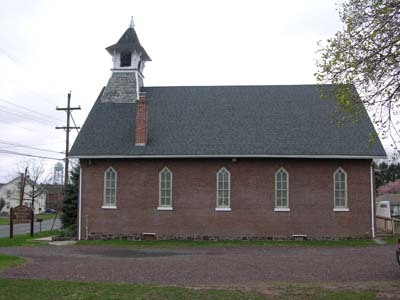 Founded in 1858 under the Evangelical Lutheran Church, the Missionary Institute (later Susquehanna University) originally held classes at Trinity Lutheran Church in Selinsgrove. Selinsgrove Hall was completed on the campus later in 1858. Seibert Hall was built in 1901 as a women's dormitory. In 1894, the Missionary Institute changed its name to Susquehanna University; it continues to serve as a university under that name. Currently, the campus consists of over 60 resources, including buildings and athletic fields. According to Merriam-Webster, a seminary can be defined as either "an institution of secondary or higher education," or "an institution for the training of candidates for the priesthood, ministry or rabbinate." The former has been covered above; therefore, this discussion will focus on the latter. While it may seem that theological seminaries occupy a strictly religious role in society, and, therefore, are not appropriate in a discussion about resources associated with the social aspects of religion, the ideologies and philosophies they impart to their students often have quite a profound impact on the larger society. For example, according to Bradley W. Bateman's "The Social Gospel and the Progressive Era ," Martin Luther King Jr.'s introduction to the Social Gospel at Boston University in the 1950s laid the theological groundwork for his later role in the Civil Rights movement. Furthermore, Grant Wacker, of Duke University's Divinity School, in "The Rise of Fundamentalism ," notes that Fundamentalist Christian groups founded numerous organizations, including seminaries, to address what they saw as the erosion of their traditional beliefs. These institutions and their teachings have had a profound impact on social and political discourse in this country, from the debate over the teaching of evolution to the debate over abortion to the debate over the definition of marriage. As with other educational institutions associated with religion, the function of the resource will dictate its architectural form. In addition, some seminaries may adaptively re-use older, secular structures. Founded in 1826, the Lutheran Theological Seminary in Gettysburg has been preparing students for work in the Lutheran Church from that time to the present. 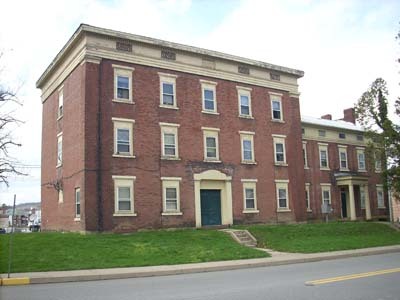 In 1832, the first building on the campus (Old Dorm/Schmucker Hall) was constructed; it served as an observation point for both Union and Confederate troops during the Battle of Gettysburg. Currently, the campus consists of 24 buildings and several other landscape features. Founded in 1925, Eastern Baptist Theological Seminary serves as a seat of fundamentalist Baptist theological instruction in the United States. It was specifically founded to oppose the more liberal strains of the Baptist faith - like those seen at Crozer Theological Seminary in Upland, Delaware County - and continues to serve the fundamentalist Baptist Church in that capacity. Eastern Baptist Theological Seminary was originally founded on Rittenhouse Square in Philadelphia, but moved to this location - originally the Green Hill Farms Hotel - in 1939. In 1951, a chapel was added to the campus. Currently, the campus consists of three resources: the former hotel, its former garage (both converted to house the seminary), and the chapel (constructed for the seminary). Constructed in 1857-58, this building (owned by John Price Crozer) served as a normal school from that date until the outbreak of the Civil War. 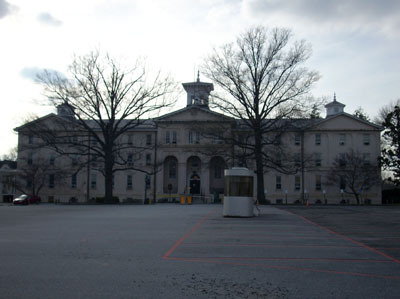 After the Civil War, in 1866, the building briefly served as the home of the Pennsylvania Military Academy until John Price Crozer's death later that year. Crozer's heirs donated the land for a theological seminary, striking a deal with the University of Lewisburg (currently Bucknell University) to move its theology department to this property. While this seminary served all denominations, it is based in Baptist theology (the history of this property is available from Old Chester, PA); arguably its most famous student was the Reverend Dr. Martin Luther King, Jr. The seminary continued to operate at this property until 1970, when it merged with Colgate Rochester Divinity School in Rochester, NY. 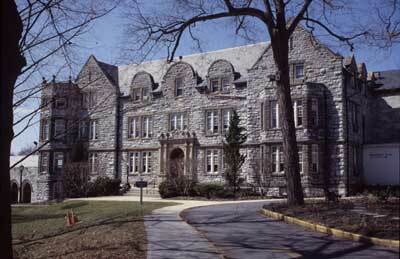 Currently, Old Main is located on the campus of Crozer Chester Medical Center. See this work for further information on different sects and their roles in education. This work provides a good history of the Sunday School movement and examples of the Sunday schools associated with different sects. Bateman, Bradley W. "The Social Gospel and the Progressive Era." Divining America, TeacherServe©. National Humanities Center. Accessed April 11, 2011.